All people who reside in Cyprus and are in need of a job will have an opportunity to apply for several positions in the third satellite casino that Melco plans to open on this island country. Melco Resorts and Entertainment is looking for high-quality workers for their newest project on the Mediterranean island which is planned in Ayia Napa. The venue will probably open its doors this summer, which means that all Cypriots looking for work will need to send application letters and resumes as soon as possible. Melco Resorts and Entertainment is an international company with thousands of content workers all over the globe. At the moment, they need 35 people for their C2 satellite casino, which will be the third casino of its kind that will join their big project for Cyprus. Other two casinos are located at the Larnaca International Airport and in Nicosia. Positions that are currently open are slot attendants, security officers, supervisors, cage cashiers, and more. Additional positions are expected to open soon, so make sure to keep a close look on this project if you are interested in working in a casino. Melco has been pretty active when it comes to hiring people in Cyprus recently as they hired a total of 800 employees in a very short period. The first satellite casino was opened last summer, and it is active at the moment. Although the majority of workers at the moment are residents of Cyprus, people from other countries are also free to apply if they meet the requirements needed for positions they apply next to additional requirements. This is not the last satellite casino that Melco plans to launch. In fact, they will need more workers once they launch their fourth satellite casino which will be located in Paphos. 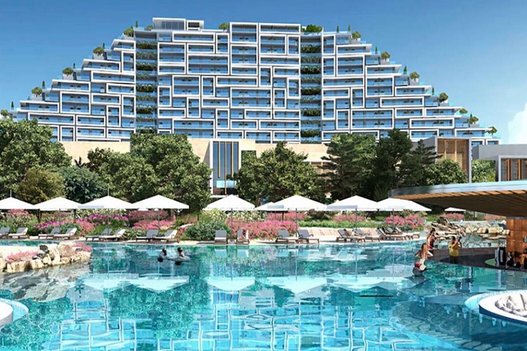 Finally, the majority of their workers will be hired at the moment they launch the City of Dreams Mediterranean (CoDM) resort, which will be located in Limassol. This is planned to be a full-scale casino resort, first of its kind in Europe. In other words, there will be plenty of jobs available very soon in Cyprus since they plan to open the casino resort in 2021. There is a temporary casino in Limassol already, and it will be active until the CoDM’s casino floor is opened for tourists. All applicants who manage to get the job will be given training before they get started. Victoria Michaelidou is the VP of HR for Melco in Cyprus, and she stated that all workers were required to share the same level of commitment to the service, quality and responsible gaming that Melco has. All job openings can be found on the site of this project, and one of the main conditions for applying for the job is to be 21 or older, or your application will not be taken into account at all.